Our surgical suite is also equipped with the most up to date anesthesia, surgical and monitoring equipment that allow us to perform many surgical services. Your pet is dropped off at our clinic fasted in the morning. All pets are then examined the day of surgery to ensure that they are healthy enough for the procedure. We also strongly recommend pre-anesthetic blood work prior to any surgery. This allows us to detect any underlying or sub-clinical conditions that could put your pet at risk for complications due to anesthetic. Once cleared for surgery, all animals have an IV catheter placed and are administered IV fluids during the procedure. This keeps your pet hydrated and allows us to administer any IV medication needed. During surgery, your pet will have their blood pressure, heart rate, and blood oxygen levels monitored throughout the procedure. We strongly believe in providing pain management before, during and after surgery as needed. Once the surgery is completed, our technicians and doctors stay with and monitor your pet during the recovery phase and ensure that they are awake and safely moved into their cages. Our greatest concern is the well being of your pet. Before putting your pet under anesthesia, we routinely perform a full physical examination. We also highly recommend and sometimes require that a Pre-Anesthetic Blood Profile be performed on all pets’ undergoing anesthesia to maximize patient safety. The Pre-Anesthetic Blood Profile helps alert our surgeon to the presence of dehydration, anemia, infection, diabetes and/or kidney or liver disease that could complicate the procedure. These conditions may not be detected without a pre-anesthetic profile thus not allowing for the most appropriate and safest anesthetic regime to be administered. These tests are similar to those your own physician would run if you were to undergo anesthesia. In addition, these tests may be useful if your pet’s health changes to develop faster, more accurate diagnoses and treatments. 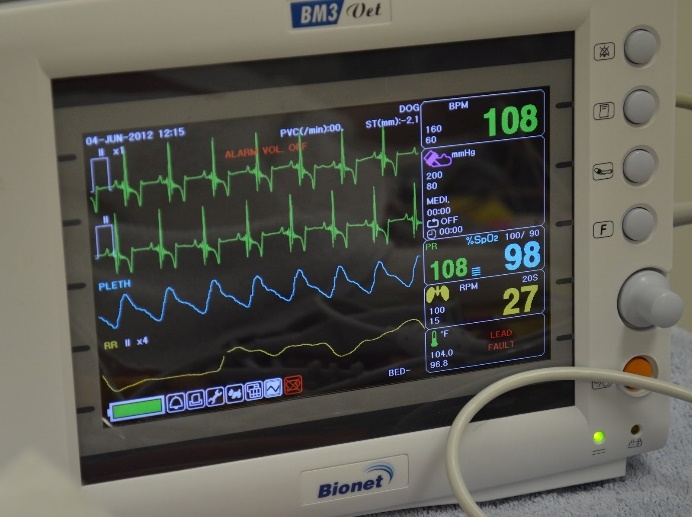 It is critical to monitor the patient's vitals while under anesthesia to ensure that the respiratory and cardiovascular systems are functioning well, and to ensure that the patient is not under too lightly or too deeply. Most important is that someone besides the surgeon (who is occupied) is monitoring the heart rate, respiratory rate, and anesthetic depth. Are intravenous fluids administered during anesthesia? Many drugs used for general anesthesia tend to cause blood pressure to decrease. Intravenous fluids will combat this decrease. In addition, if there are any adverse reactions under anesthesia, an intravenous catheter allows immediate administration of emergency drugs. Please call Roswinn Pet Hospital for more details about your concerns and questions in regard to our anesthesia and surgical services.